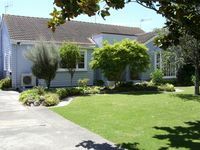 Properties in Napier City average 4.5 out of 5 stars. 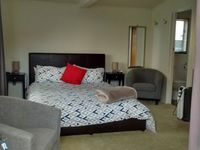 Property 15: Ahuriri Townhouse modern and spacious ,free wifi. Comfortable, clean, sunny and full of character. Property 27: Comfortable, clean, sunny and full of character. Property 38: Beautiful seaside accommodation. Property 44: Private en-suite studio in the art deco capital! Quiet and secluded cottage of modern construction. Property 45: Quiet and secluded cottage of modern construction. Very Warm and Cosy home. Full of character. Very beautiful home in a nice and quiet suburb. Lots of character to the home and the stay was very warm and comfortable. Excellent for kids, close to shops , excellent walking spaces nearby. ( we were able to collect Walnuts during our morning strolls alongside the stream). Highly recommend for a nice and peaceful break.